Gigya’s Customer Identity Management Platform helps brands turn unknown site visitors into known, loyal and engaged customers. With Gigya’s technology, businesses increase registrations and identify customers across devices, consolidate data into rich customer profiles and provide better experiences through pre-built integrations with leading marketing and service applications. 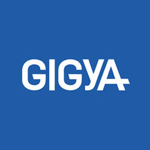 More than 700 of the world’s leading brands rely on Gigya to build identity-driven relationships and to provide scalable, secure Customer Identity Management. The integration will allow you to dynamically personalize your website for visitors, based on social data that you have about them. With this integration, you can use Optimizely to create different versions of your website and target them at Audiences that you build using social data from Gigya, such as Age, Gender, Relationship Status, Religion, Language, and more. Gigya identity data only strengthens the personalization capabilities of Optimizely by leveraging self-identified, first party data.